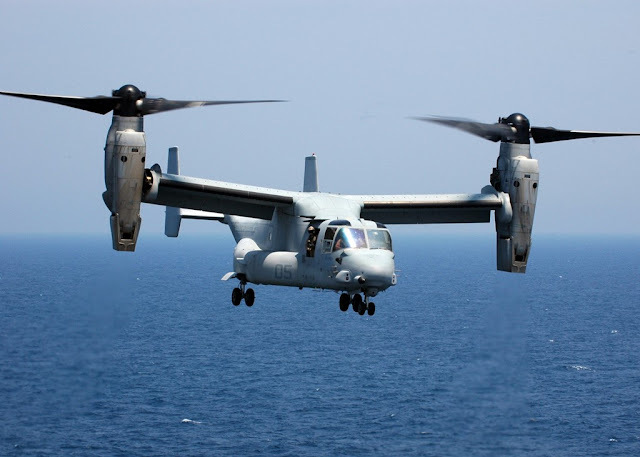 The first tilt rotor aicraft will arrive at Yokota AFB in 2020. The U.S. Department of Defense announced in 2015 the plan to station a special operations squadron of CV-22 Osprey aircraft at Yokota Air Base, Japan. The first three aircraft will arrive in the fiscal year 2020 with an additional seven aircraft scheduled to arrive by 2021. The deployment of tilt-rotor aircraft will provide increased capability for U.S. Special Operations forces to respond quickly to crises and contingencies in Japan and across the Asia-Pacific region, including humanitarian crises and natural disasters. It will also increase interoperability, enhance operational cooperation, and promote stronger defense relations with the Japan Self-Defense Forces. The CV-22 Osprey is a highly advanced aircraft with unique capabilities and an excellent operational safety record. The deployment reflects the United States' steadfast commitment to defend Japan and to station its most advanced capabilities forward as part of the Asia-Pacific Rebalance.